Bill Massis discovered Google reviews three years ago during a website rebrand for his vacuum cleaner repair and sales business Etobicoke Service Centre. While he was hesitant at first, a study showing consumers view Google reviews the same way they see referrals from friends convinced him otherwise. Over 35 years in the vacuum cleaner business, there’s one lesson that rises above the rest for Bill Massis, something he learned from his uncle who opened Etobicoke Service Centre in 1971. It’s so simple. And in an age where main street businesses face the Sisyphean task of competing with big box retailers and e-commerce Goliaths like Amazon, customer service has to be the differentiator. 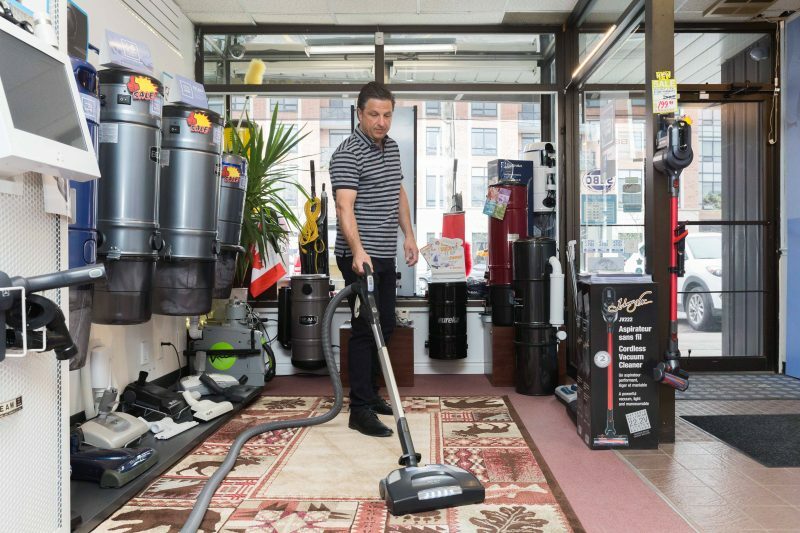 Especially for business like Etobicoke Service Centre which sells, services, and repairs all kinds of vacuums including centralized units for homes. “We actually go into people’s homes, the second you do that that's a game changer,” says Massis. It becomes about trust, about building a relationship and convincing them you’re able to get the job done while causing the least amount of impact on their daily life. “What we sell, at the end of the day, it's not a big ticket item but it's not small either – it’s usually a couple thousand dollars on average,” says Massis. And over the past three years, he’s realized the role digital tools can play in establishing that trust. “Before a lot of people are willing to give you that chance, they do their due diligence,” says Massis. Although reputation hasn’t been a problem for Etobicoke Service Centre, Massis was looking for a way to reach new customers. They included it on their site and the reviews started to roll in. Massis says he hears from new customers referencing the reviews daily. The shop owner says they looked into social media and other forms of outreach and have “spent a couple thousand dollars” on advertising but the Google reviews have by far, had the most impact. It’s more than just reputation, says Massis, the reviews give him an insight into what connects with his customers, why they keep coming back. It’s something he says he feels would be valuable for most service businesses.